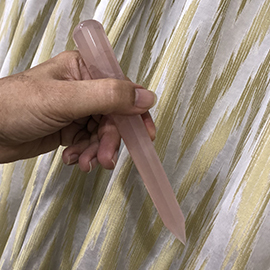 Approximate size between 120 mm to 125 mm Beautiful rose quartz wands used in pranic healing for removing stress and depression. Good for Pranic facial. These rose quartz wands are 16 facets and are of good quality. These wands come along with a beautiful box.